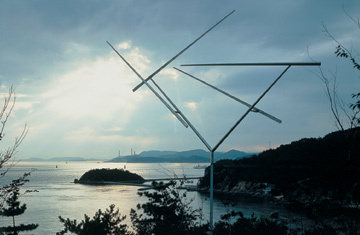 The impressive collection inside the Tadao Ando-designed Benesse House gallery and hotel, www.naoshima-is.co.jp, includes pieces by Hockney, Pollock and Warhol, but it's the 19 outdoor installations, set to a natural soundtrack of lapping waves and birdsong, that really steal the show. Among them are Yayoi Kusama's vivid yellow sculpture, pumpkin, which sits on a small jetty protruding into the Seto Inland Sea, and Walter de Maria's Seen/Unseen Known/Unknown, a pair of 2-m-high granite spheres that catch warped reflections of Naoshima's coastline on their polished surfaces. At first glance, Honmura is a sleepy and picturesque fishing village, but look more closely and you'll discover that a handful of the old wooden houses and the village's Edo-era shrine have been transformed into permanent art installations as part of the ongoing Art House Project, www.naoshima-is.co.jp. More like the attic of a crazed collector than a conventional museum, this single room crammed with James Bond memorabilia, tel: (81-87) 892 2299, was inspired by Raymond Benson's Naoshima-based 007 novel of the same name. If locals get their way, and Hollywood eventually comes calling, Naoshima might be set for another transformation. Opened in 2004, Chichu Art Museum, www.chichu.jp, houses a collection that includes work by Claude Monet, Walter de Maria and James Turrell. The building, another of Ando's Naoshima creations, is a cavernous concrete affair built discreetly into the hillside, and could qualify as a work of art in its own right. Japanese artist Shinro Ohtake's modern take on the traditional public bath, I Love Yu, tel: (81-87) 892 2626, is both a play on words (yu means hot water in Japanese) and a fully functional art installation. The best way to take in the mix of Pop art, mosaics and occasional erotica plastering the bathhouse walls  inside and out  is to get naked and soak in the communal tubs.